During a robbery at Melanie's bank she ends up as a hostage and is kidnapped. Sammo is desperate to find her and save her from danger. Chen Pei Pei: [after Nigel has thrown all the M&Ms onto the floor in a fit of rage] Now that you've had your little Keith Moon moment, you can pick up all the M&Ms. 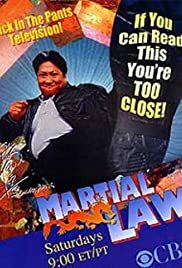 Worth watching for Sammo's martial arts; good comedy as well as drama.